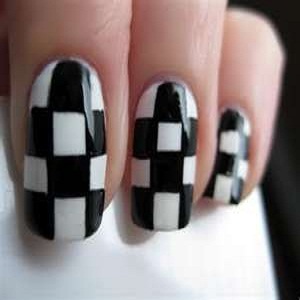 Checkered nails come under the category of styles that never fade. From the simple black and white design to a dozen other variations, this design has us all gripped in its spell. 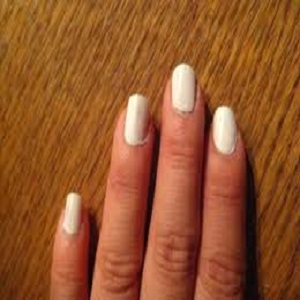 The best part about is the ease with which you can create a wonderful nail pattern using just two nail colors. It also lets you make your own color combinations depending on your outfit and looks great in nearly all colors. 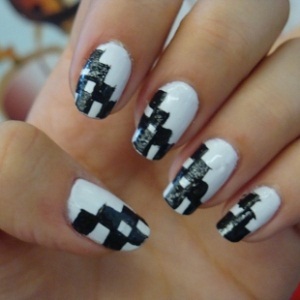 Try for yourself with help from our step by step guide to checkered nails. Wash your hands well and clear the nails with an old brush. Dry them up with paper towels. Apply a coat of clear polish. This will act as the base and prevent any stains. You can do a double coat if you want a firmer base. Let the clear coat dry. You can make the checkered design with any two colors. However, here we will stick to the conventional black and white. Polish you nails white. Wait for the coat to dry and then apply a second coat. 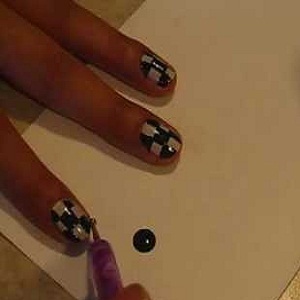 When the white polish is dry, make checkered boxes by drawing horizontal and vertical lines on your nails using nail polish marker. Leave half of the boxes white and polish the rest with black. You can use a thin paint brush if your original nail polish brush is too thick for the tiny boxes. Let the polish dry. Apply a coat of clear polish again so that your design is preserved and stays longer. Clear off any mess or spoils using a cotton bud dipped in nail polish remover. Once you master this simple design, you can start experimenting with colors and designs that include checkered boxes. Let the innovative soul inside you out. An alternative method can also be used. After you apply the clear coat, draw the lines with a white marker. Fill some with the white marker and some with the black one. When the design is complete and dry, use the clear polish again.